The mostly edible garden of Babylonstoren in the Drakenstein Valley of the Cape Winelands has become a must-see for all visitors to the region. Not simply because it is beautiful, but because it offers a mesmerising range of experiences to both the day tripper and hotel guest, encompassing history, insight into the workings of a productive farm and food garden, and how the land can be cultivated along diversifi ed yet integrated principles. 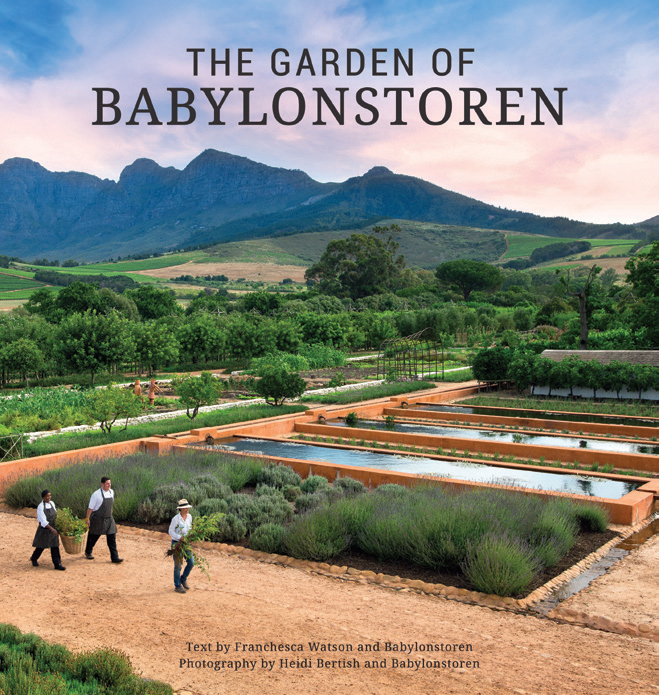 This visually stunning coffee-table book covers every aspect of the 3.5-hectare garden: its design, Cape Dutch history, plants, cultivation methods and the people behind it all.